Landfill wastewater pumping applications are a worldwide challenge especially here in North America. 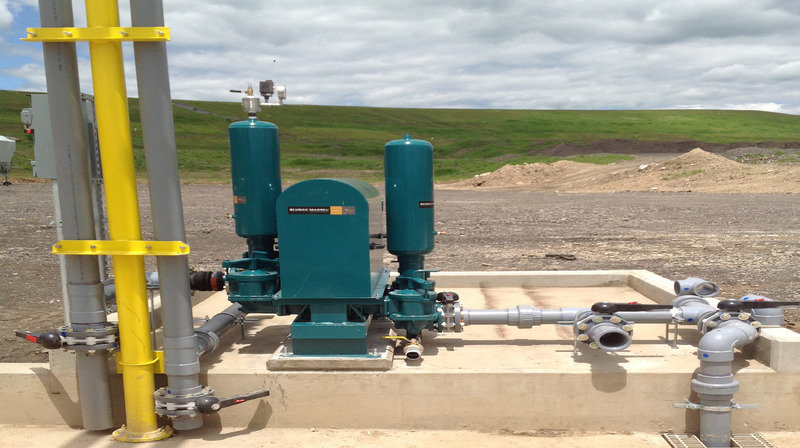 Pumps at landfills transfer grit, rags, sediment, wood chunks and other pesky solids that require severe duty pumping equipment to last the long haul. North America’s largest environmental solutions provider, Waste Management contacted Wastecorp for recommendations on their solids handling needs. Wastecorp has worked with a variety of landfills over the years in providing double disc pumps, trash pumps, diaphragm pumps, or plunger pumps. When a company like Waste Management serves over 20 million people in the United States and Canada, pumping equipment must be capable of handling the toughest solids a landfill can produce. Wastecorp has pumped wastewater for landfill applications for over 20 years using ball valve technology. Wastecorp’s newest solution for solids handling applications is a more robust pump with no regular maintenance using trunnions, discs and ball valves to move fluid.